Don't just Cool It.... Perma-Cool it! Free standard U.S. shipping, orders over $75! 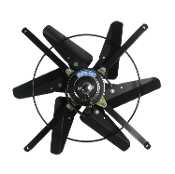 High Performance models feature high RPM precision motors with dual ball bearing armature supports for longer life, lightweight aluminum blade assemblies, and open steel housings, for unrestricted air flow. 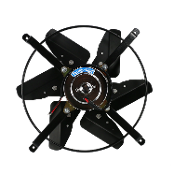 Our electric fans are the most powerful electric fans available and are capable of moving almost twice the volume of air as competitive models. 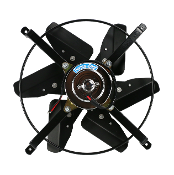 Reversible "push/pull" for mounting on either side of the radiator, perfect for engine swaps. 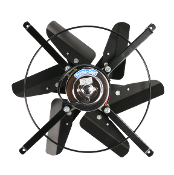 Ideal use as primary cooling fans. Wiring systems sold separately. 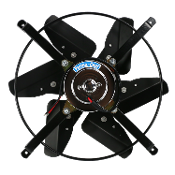 All Electric Fans REQUIRE a 30 Amp fuse for start-up protection.